There are as many homeless people in the streets of Montreal as there are stories. They can be found almost everywhere; the younger ones often waving a squeegee in front of cars stopped at an intersection, the others reaching out with a jar, in the metro or elsewhere, to collect a few coins. A person may end up in the street because of a gambling or a drug debt they find impossible to repay. Another will have fled or been kicked out of home, after experiencing violence. Others end up in the streets as soon as they are released from prison. Sometimes, young people find refuge in the streets as soon as they leave the Child Protection Network once they reach adulthood. And a relatively small number of men and women have been living in the streets for months or even years. If female homelessness seems to have a lower profile in the city’s streets, it is still certainly present, as can be seen from the women’s shelter usage. Homeless women are easy targets of street violence, and they will often do whatever it takes to avoid returning outside. Even in the middle of winter in Montreal, John, who was born in Haiti, is standing outside in front of the Old Brewery Mission shelter, wearing sandals. His wife kicked him out of their home and he has been living at the shelter for the past few months. Next to him, Marcello, shackled by debt because of his gambling problem, has already had to sleep outside in winter before coming across the shelter network. Lately, several Montreal shelters have decided to refocus their efforts to help stabilize homeless people who come in for help. 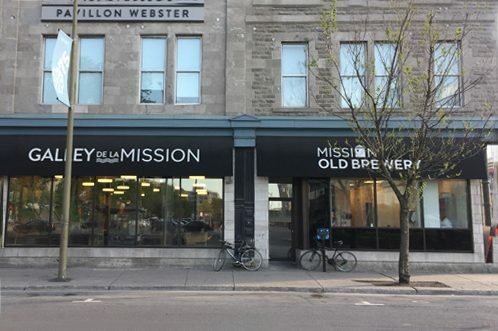 Created in 1889, Montreal’s Old Brewery Mission (OBM) is one example. It was during one particularly harsh Montreal winter that two wealthy women from the Montreal neighborhood of Westmount, Mina Douglas and Eva Findley, founded the organization, first as a soup kitchen. 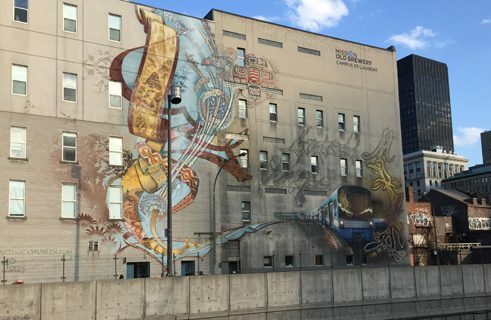 125 years later, the organization located on boulevard Saint-Laurent is the biggest help resource for homeless men and women in the province. Recently, OBM, as it is more commonly known, decided to end the cycle of homelessness by offering long-term support as well as follow-up and guidance. Matthew Pearce | © Caroline Montpetit Matthew Pearce, director of the Mission, went so far as to say that by offering emergency shelter without any support, we were “guilty of having tolerated chronic homelessness.” Consequently, the organization has reduced the number of emergency shelter beds available to homeless people in favour of supervised housing units.OBM based its decision on an in-house study revealing that 80% of people experiencing homelessness in Montreal found themselves in that situation only temporarily. Still, a proportion of people is living in chronic homelessness. Furthermore, some homeless people refuse, even on the coldest nights of winter, to sleep in a shelter where they would have to abide by the rules, such as being sober and refrain from consuming as a condition to remain at the shelter. During winter, Old Brewery Mission has a night shuttle service that drives around the streets of Montreal to find homeless men and women. The intervention support workers try to offer them if not a place to stay, at least a place to get warm. This winter, for the first time, the City of Montreal has decided to open St. Michael's Mission warming station every night. Also known as le Toit Rouge (the Red roof), St. Michael's Mission allows people to come in with their pets. In past years, this station, which allows to warm up a little while having a cup of coffee or a bowl of soup, was open only on nights when temperatures dropped under ‑20 or ‑25 degrees Celsius. Last December, the City announced the addition of an additional 900 shelter beds to meet the growing demand during wintertime. But Matthew Pearce also attributes the fact that the shelters were not overcrowded to the daily opening of the warming station last season. “The warming station could accommodate 80 people. But as soon as they closed at the end of the season, we had to house 60 people for the night in our cafeteria due to the lack of space,” he says. The Mission Brewery in Montreal, seen from the side | © Klaus Gempel, Goethe-Institut Several organizations, represented by RAPSIM (Réseau d'aide aux personnes seules et itinérantes de Montreal), amongst others, want Montreal to have a “real housing for controlled drinking.” This would be a place where alcoholics could continue to drink under supervision, without losing access to their housing. There currently is a place where one can drop a very intoxicated person off so they can stay in a shelter. But the maximum stay is of 72 hours or the time needed for the person to sober up. The City of Montreal will soon release a report of Montreal’s homelessness count. Yet, according to Mr. Pearce, these numbers are continually changing. 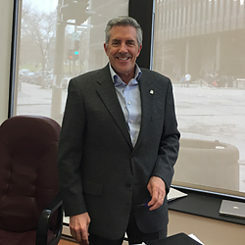 He says that homelessness is “increasing at a non-dramatic rate.” What is sorely needed to address the problem, according to him, are supervised housing units with medical and psychosocial support. “You will always find a better place to live in than a shelter,” he says. Caroline Montpetit is a journalist with Le Devoir. In 2006, she published a first collection of short stories, "Tomber du ciel", followed by a second in 2009, entitled "L'enfant", both published by éditions du Boréal Publishing and warmly welcomed by critics. She is particularly interested in cultural news and Aboriginal affairs.